Looking for a Lonely Planet pdf free download or a Lonely Planet ebook free download? You need to be aware that most of the places you’d find travel ebooks free downloads are either: 1) scams or, 2) illegal. BUT I’m here to tell you that there IS a way to get electronic Lonely Planet travel guides 100% free AND legal (no torrents or illegal sites required). Just check out this quick and easy trick to get Lonely Planet guides as a free pdf/ebook download to your device (for up to a month). This is free way to carry almost every Lonely Planet guidebook in your pocket — and it just takes 2 minutes to get it set up! Best yet: it doesn’t involve downloading anything illegal from some shady website that is likely to insert malware on your computer! I’ve been traveling the world for the past ten months and have visited over 40 countries during that time. Sure, it’s possible to download Lonely Planet pdfs for about $13 apiece through the Lonely Planet store. And, though I love using the Lonely Planet guidebooks, it would have cost me a fortune to download the 40+ Lonely Planet ebook travel guides if I had to pay full price for each one. 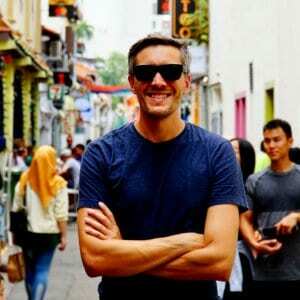 That’s why one of the first things I did before setting out to travel the world was to sign up for a free trial of Kindle Unlimited, a program by Amazon that lets you download tons of e-books – including Lonely Planet’s library of travel guides. Despite the name, you don’t need a Kindle for it to work – you can download the Lonely Planet guides to use on your phone, tablet, or e-reader device. You can even try out all the Lonely Planet guidebooks as free downloads for a month! 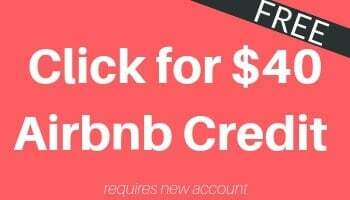 After that, it’s just a small monthly fee if you decide to keep the service.
. Then read below for the specific steps you need to get your free Lonely Planet ebooks!
. It’s free for the first 30-days and an excellent value after that. Third, search the Kindle Unlimited library for the guidebook you want by typing “Lonely Planet Thailand,” “Lonely Planet Peru,” “Lonely Planet Europe,” or whatever your desired destination. Fourth, on the page for the book, you should see a button that says “Read for Free.” Press it and the Lonely Planet guidebook will download to your library. Fifth, to save the book offline, just go to your library on the device you want to use and click the icon for the guidebook in question. It should then download to your device, allowing you to access the guidebook offline. That’s it! You now have access to the guidebook for as long as you maintain your Kindle Unlimited subscription. If you decide you don’t want it after the trial period, just remember to cancel within 30 days. You can only have 10 books at a time signed out. If you go over that limit, you just need to return an old title before downloading a new one. Some of the features, like maps and images, work better on larger tablets or smartphones. Looking for a Different Way to Download Lonely Planet Ebooks? The above method is the only free AND legal method I’ve found for downloading Lonely Planet pdfs. But, if you only need one or two Lonely Planet ebooks, you can legally buy pdfs quite affordably through the Lonely Planet store. Just click here to shop Lonely Planet’s ebook collection. Click the continent you are looking for, then click your desired destination, and select the “pdf” option for purchase! Most ebooks are on sale for only about $13 USD, so it’s really not that much if you only have a single book you are looking for for that trip to South America, Australia, or wherever it is you are going! Lonely Planet has a huge library of travel guidebooks, covering just about every travel destination you can think of. While the guidebooks aren’t perfect, they cover the basics and can give you a really good overview of a place before you get there. They include maps, restaurant and hotel/hostel recommendations, basic phrases in the local language, and much more. The electronic versions are easy to navigate using the clickable Table of Contents. And, since the guidebooks are stored electronically, you don’t have to carry any additional weight in your bag. So whether you are looking to tour Bolivia’s salt flats, explore a city like Denver, Colorado, or just find a guidebook for traveling Europe on the cheap, you can download the free Lonely Planet versions for your destination! From Lonely Planet Mexico, to Lonely Planet Peru, to Lonely Planet Spain (or Greece, Thailand, Bali, Vietnam …. or anywhere else), the whole library of ebooks will be available at your fingertips! Lastly, Kindle Unlimited provides you will access to a ton of books — not just the Lonely Planet library. Perfect for keeping you entertained on those long flights or bus rides. I’ve been using Kindle Unlimited since I started my trip, and it’s been one of the best investments I made. Information is power, and having so much of it at your finger tips can help you travel smarter — ultimately saving you money in the long run. And since the first month is free with this Lonely Planet Book free download trick, you might as well give it a try! That’s it! 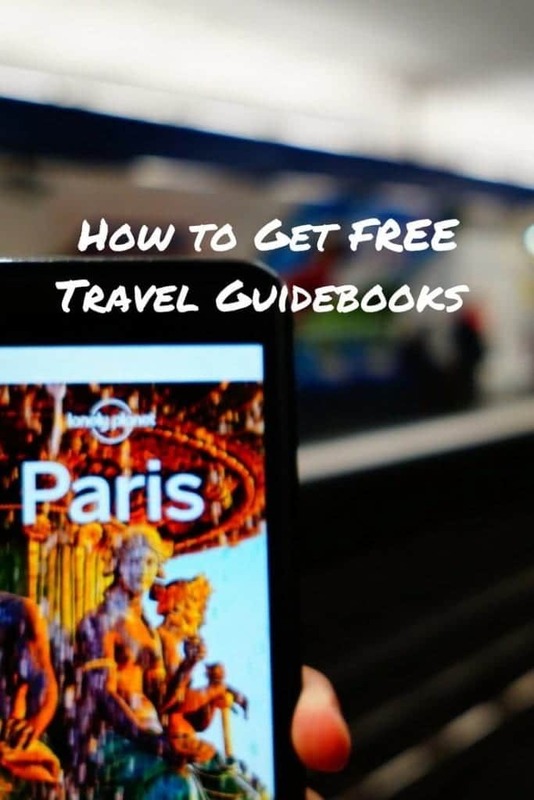 Whether you’re headed to Juneau, Alaska, Fiji, Argentina, or anywhere else, this trick can help you get a quick and free Lonely Planet guide totally gratis. Lastly, if you like saving money on travel, be sure to read how to get cash back from travel and online purchases! And if you are planning to travel the world long term, be sure to look into buying an annual travel insurance policy. i found your advice very helpful! i wanted to know if it can work outside of the us? can i download and use it in the country i am visiting? Q: Is Kindle Unlimited available to customers living outside the US? A: Kindle Unlimited is currently available only to US customers on Amazon.com. Customers in the UK, Germany, France, Italy, Spain, India, China, Japan, Brazil, Mexico and Canada can sign-up for Kindle Unlimited in their local Amazon marketplace. We also plan to expand this service to other countries. Please stay tuned. So you can access Kindle Unlimited from a number of countries’ Amazon sites, but you should still note that the availability of titles may vary. Now, personally I’ve used Kindle Unlimited in dozens of countries – but I was always using the my US Amazon account, and I can’t find definitive info on which countries have or don’t have Lonely Planet. With that said, the 30 day trial is risk free, so if you sign up and they don’t have Lonely Planet, it’s free to just cancel right away (if that happens, please drop a message here to help others! ).